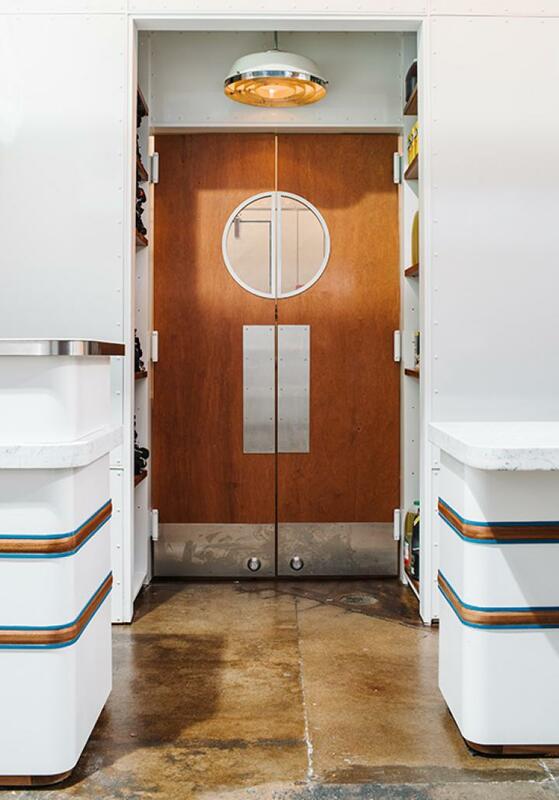 Two small spaces that make big statements. 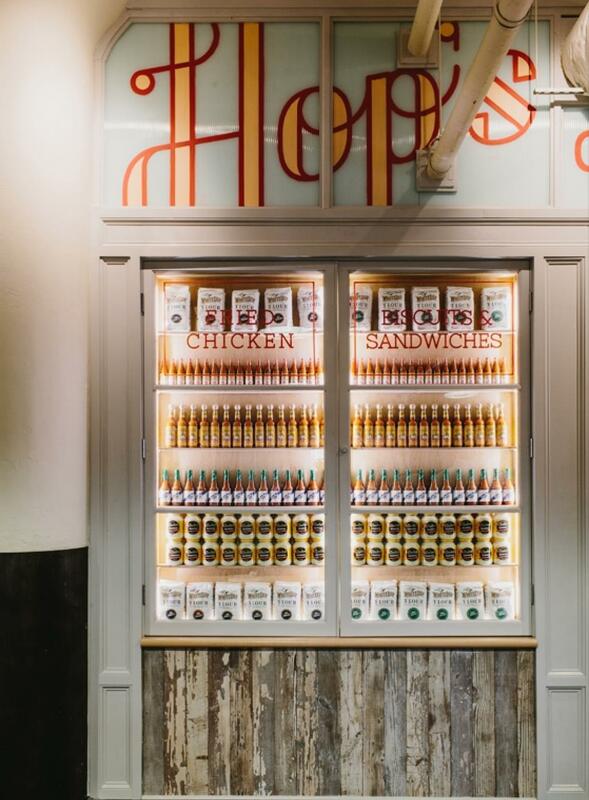 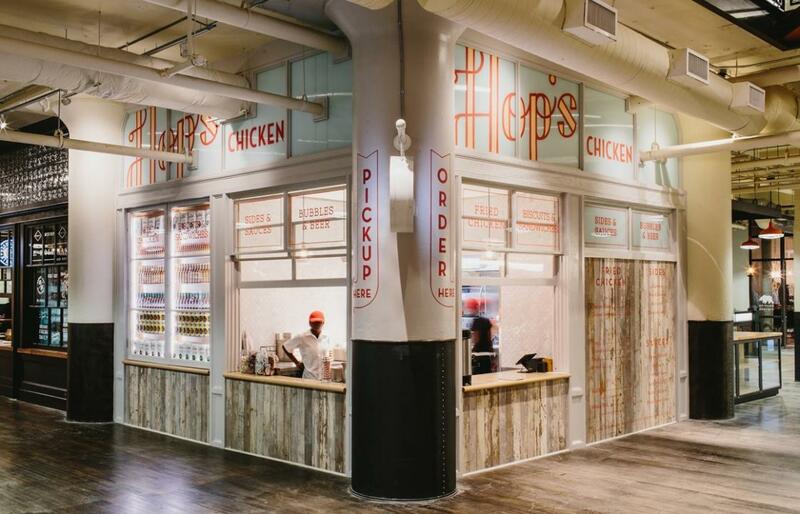 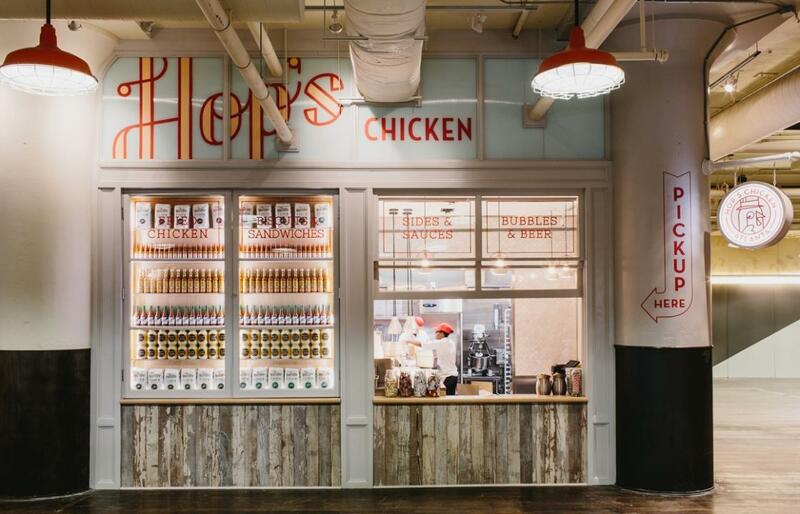 Hops Chicken glows with our shiny, maple countertops and flashy display cases. 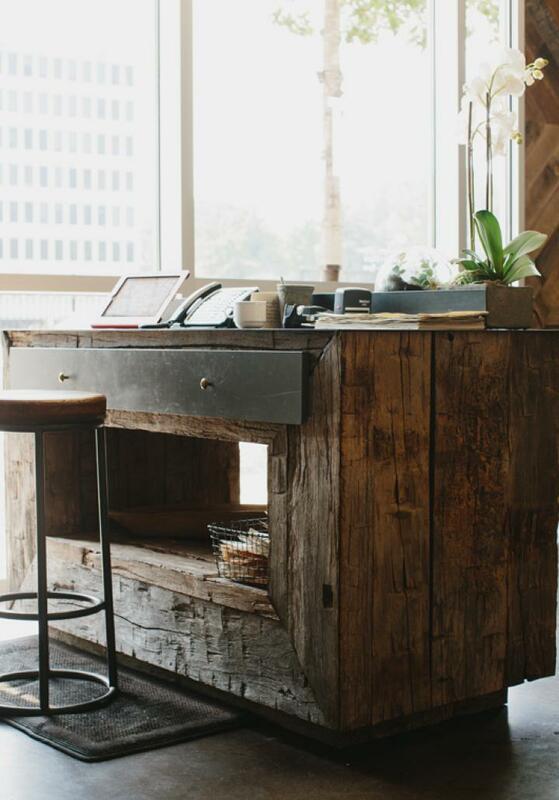 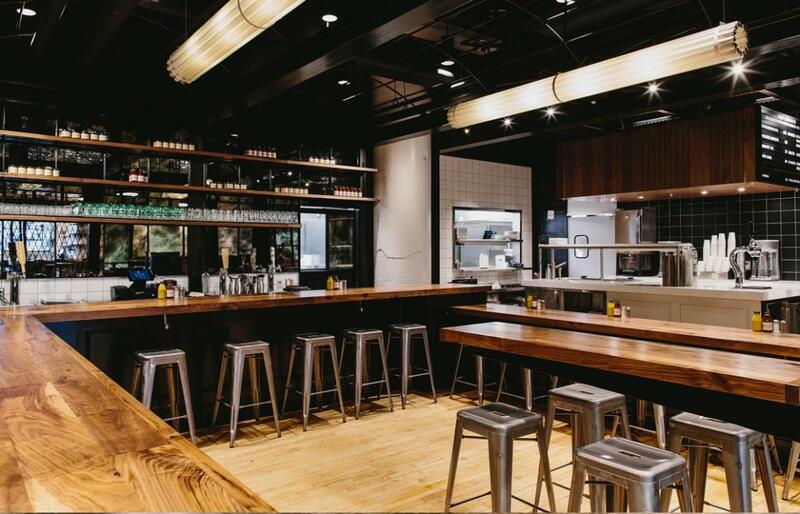 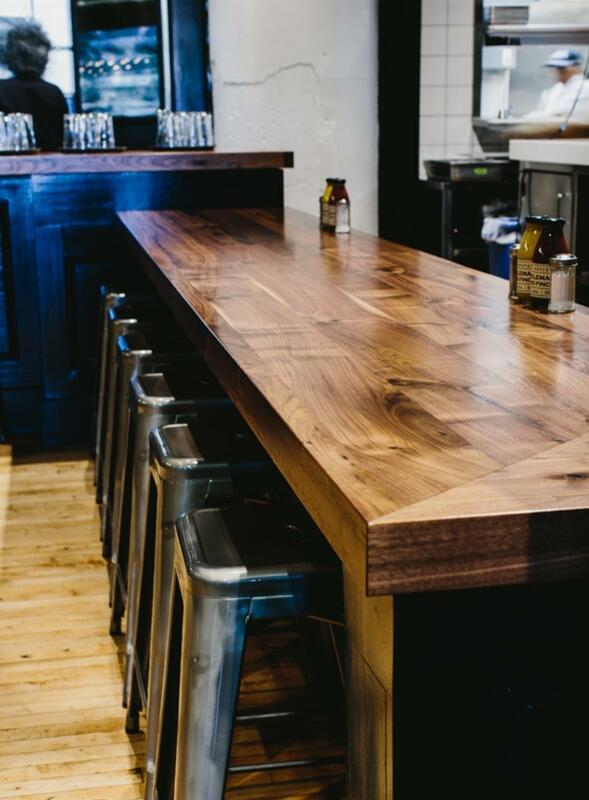 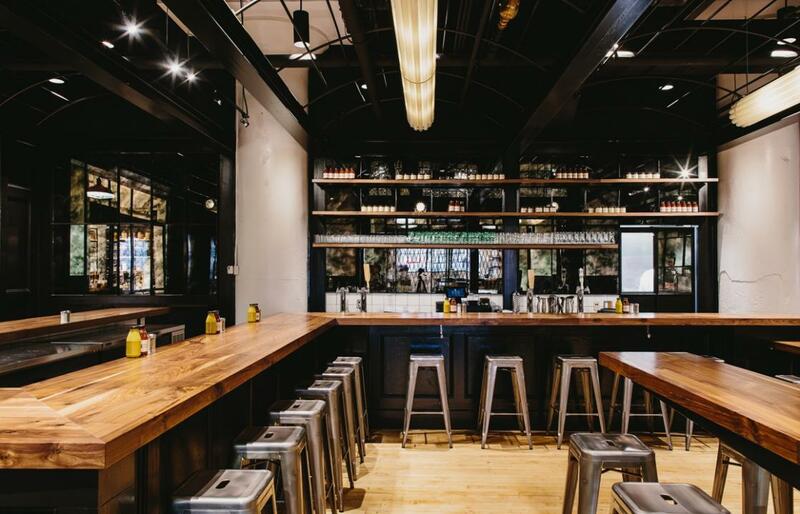 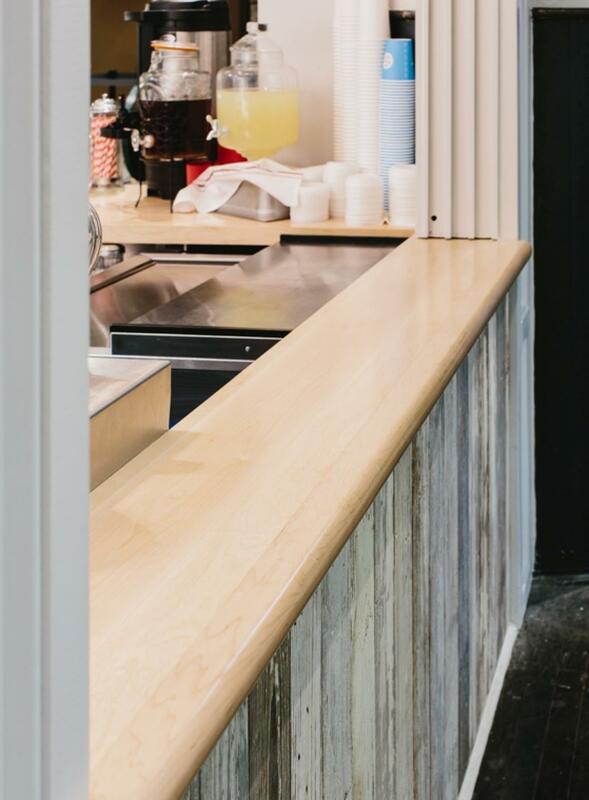 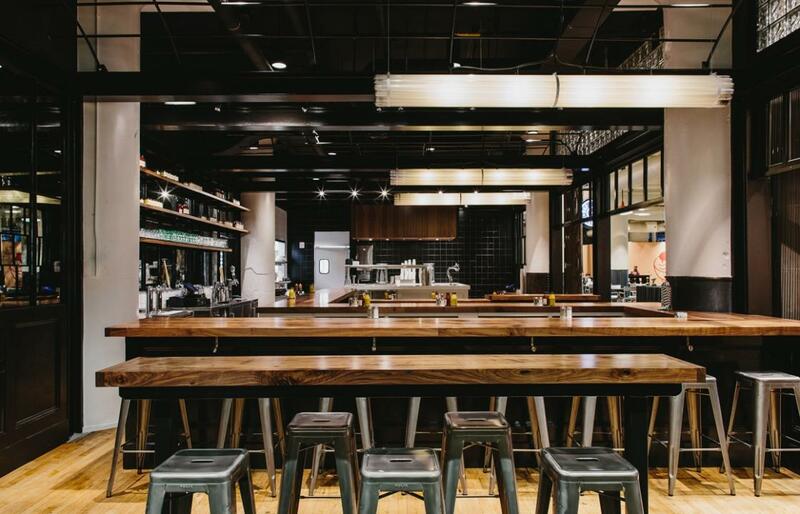 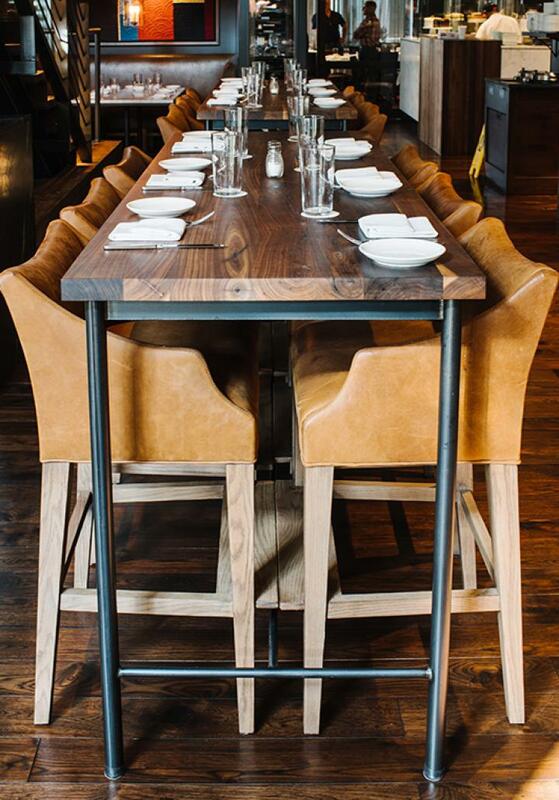 H&F Burger adds rich contrast, serving the best burgers in town over our walnut bar and drink ledges.